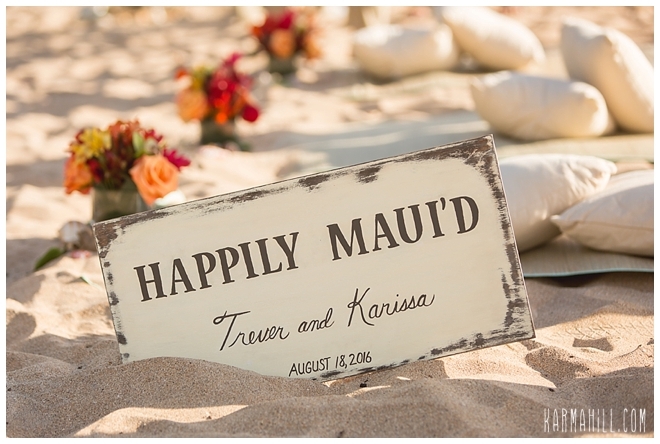 Karissa & Trever's Styled Beach Wedding! 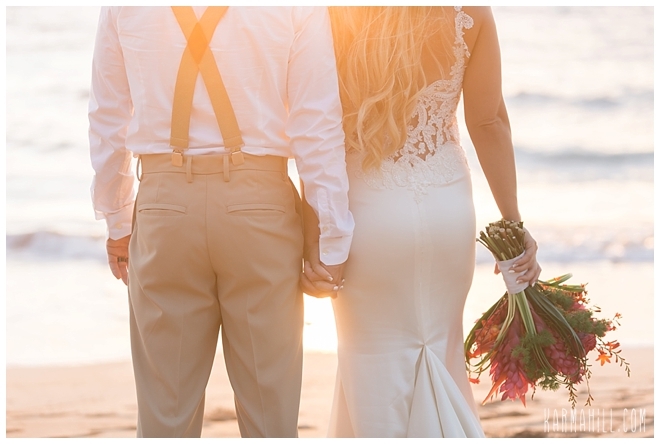 The beautiful styled wedding of Karissa & Trever took place last week on the shores of Southside Beach! 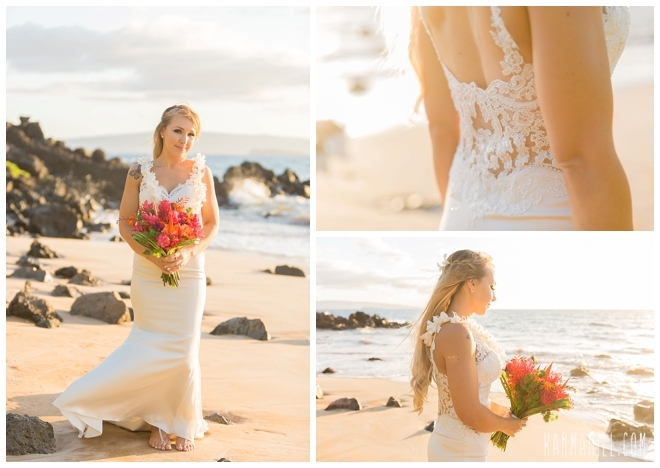 They chose a gorgeous styled beach setup with accents to match Karissa's bouquet. 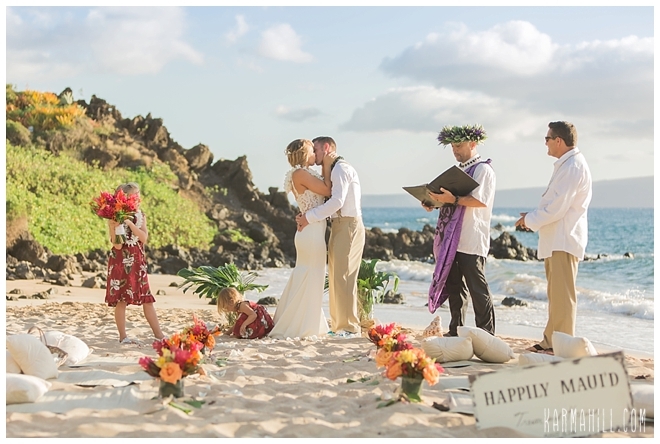 It was so pretty that the guests didn't even want to sit on it. 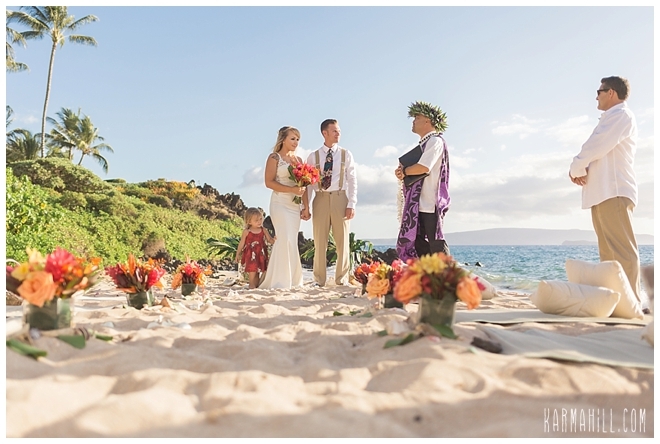 Karissa & Trever and their two adorable daughters were joined by their close family and friends and married by Reverend Kimo Kirkman. 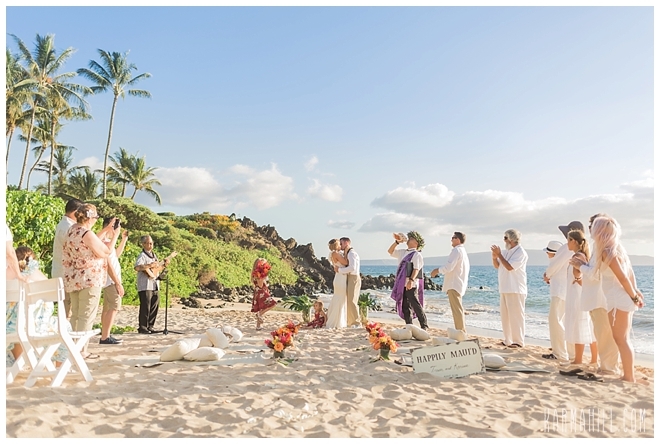 After the ceremony staff photographer Cheynice captured all their love next to the gorgeous sunlit sky. 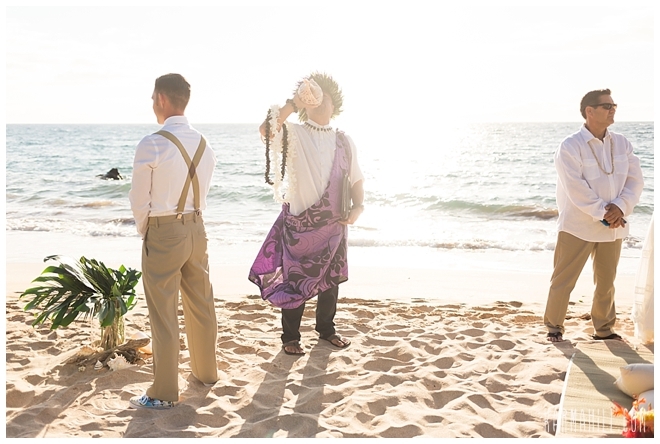 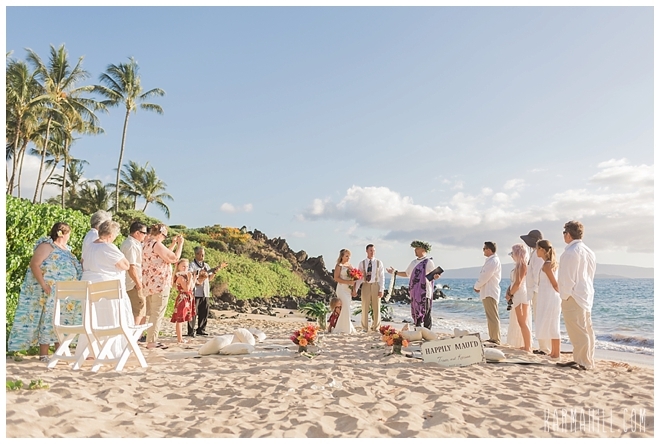 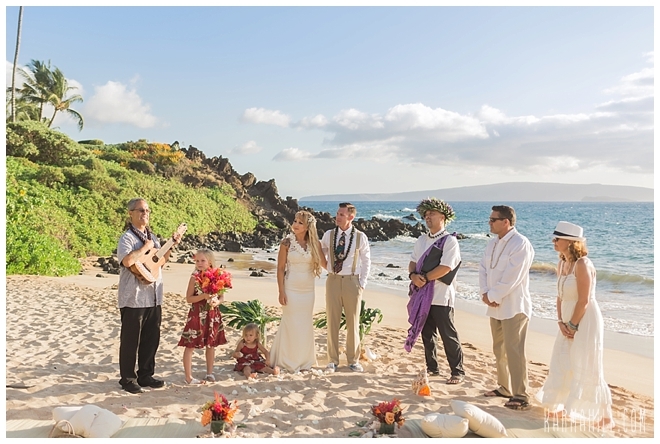 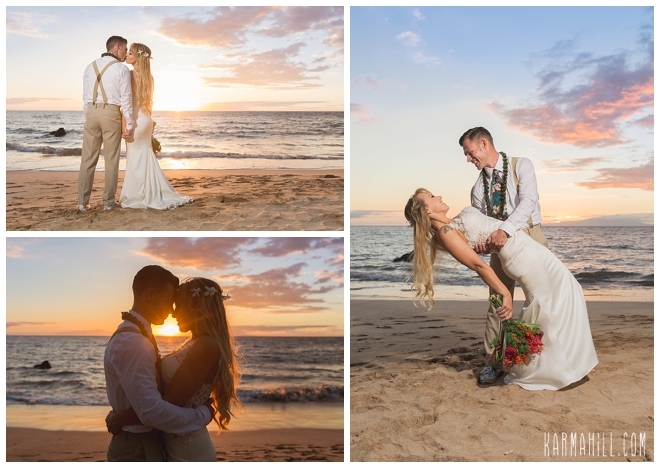 It was a perfect evening for a Maui beach wedding. 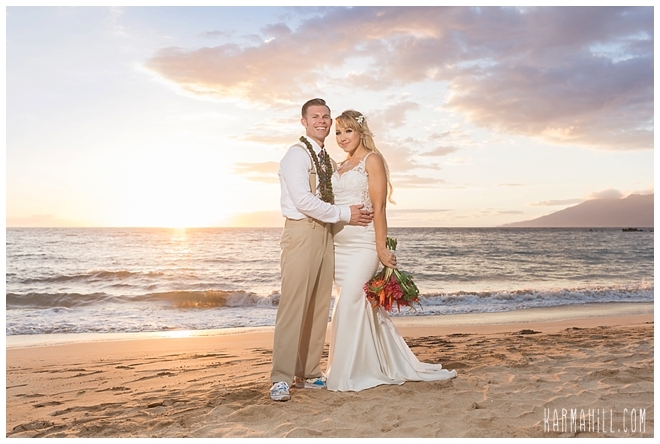 Mahalo Karissa & Trever for choosing us to be a part of it. 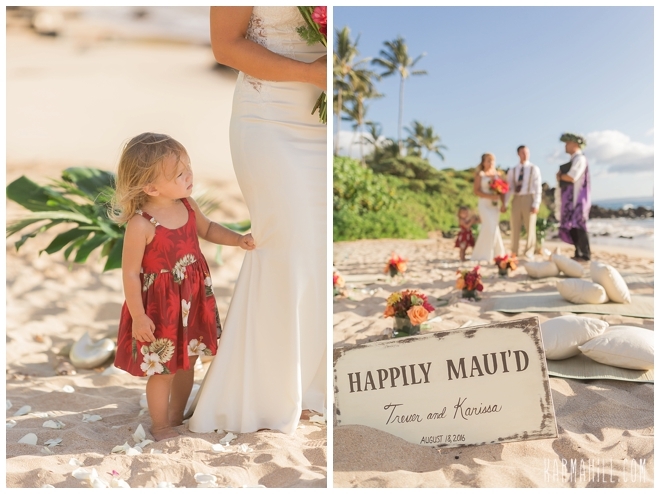 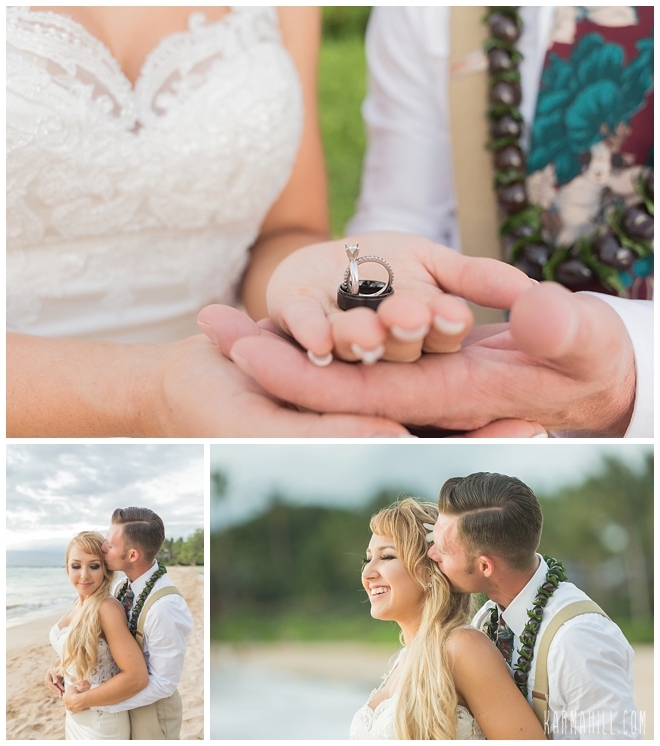 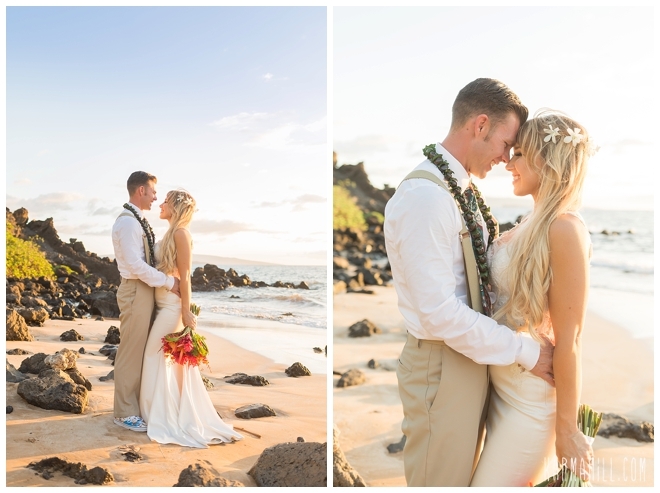 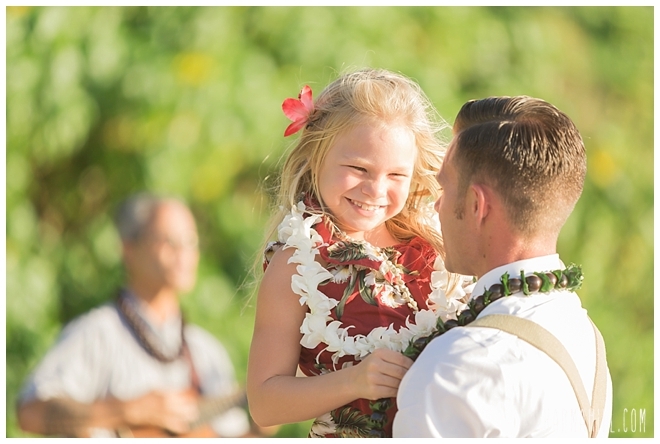 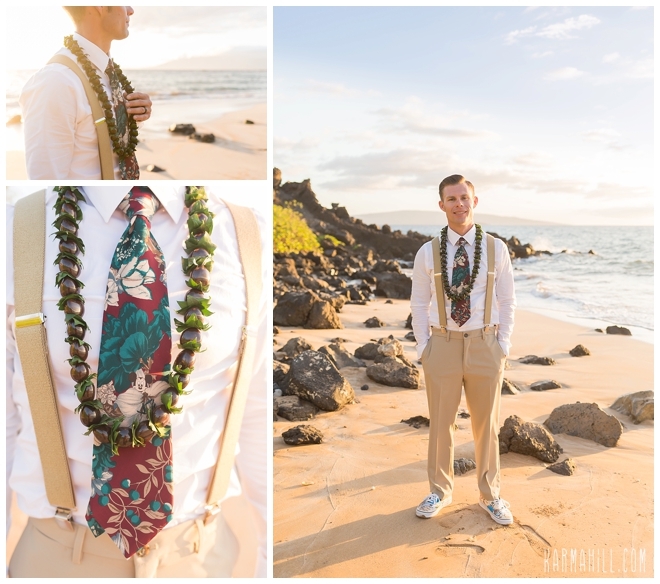 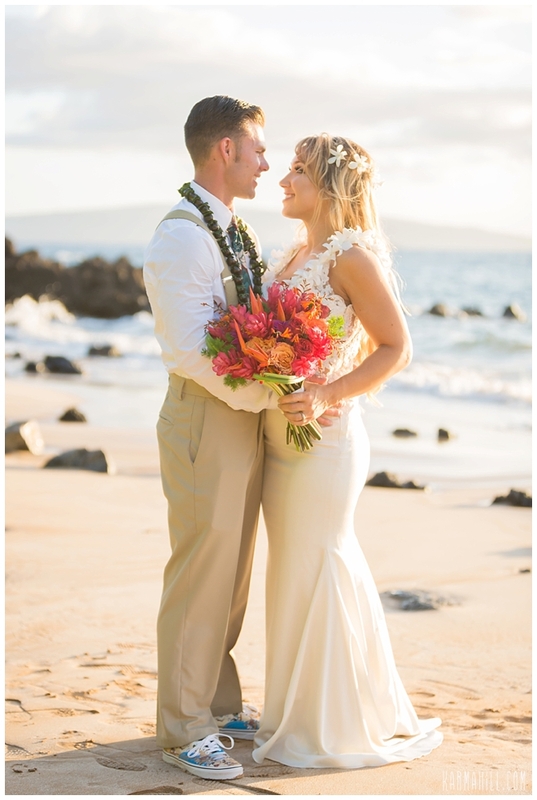 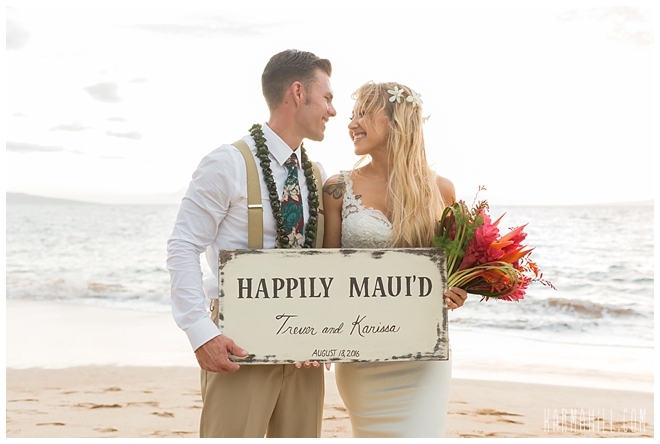 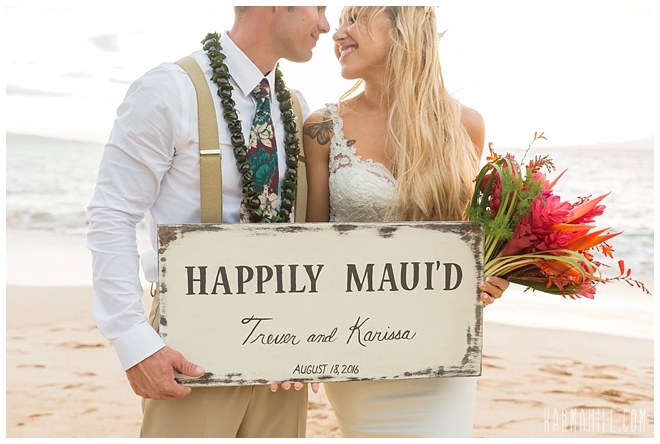 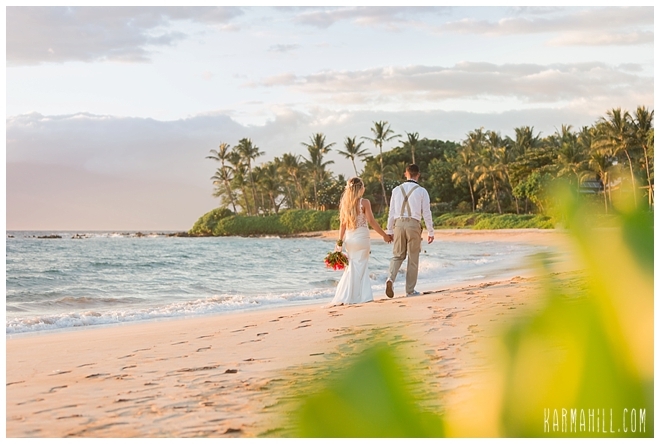 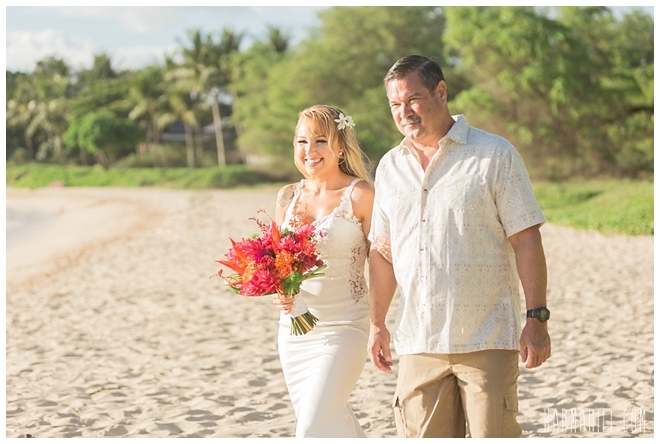 Check out our last Maui wedding with McKayla & Chase!